Facebook recently experienced its biggest security and data breach ever. Do you think your Facebook account has been hacked? If so, act wisely! A stranger could have access to your private messages, contact your friends, abuse your Facebook page, and delete your personal information. They could also lock you out of your Facebook account forever. While you can’t get stolen information back, you can prevent them from stealing your account. The most important thing now is to not panic. 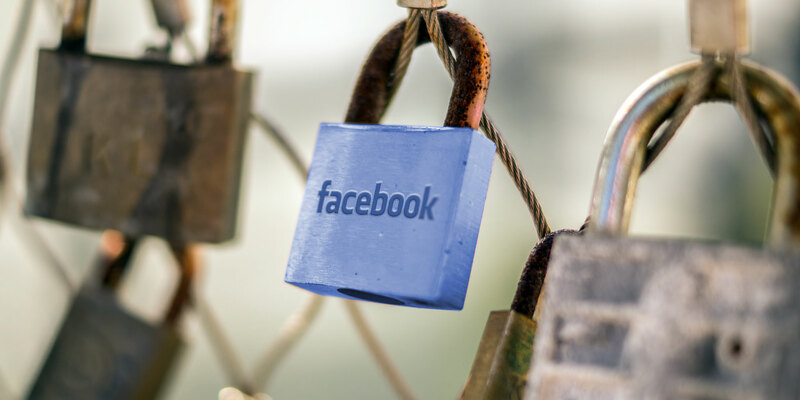 If you did some things right, you can regain access to your Facebook account. We’ll show you how. So how do you know your Facebook account was hacked if nothing obvious has changed yet? If a Facebook hacker managed to get into your account, they will leave a trace. Log into your Facebook account and click the arrowhead in the top right to expand a menu. From the menu, pick Settings and go to Security and Login or just use this direct link. At the very top, you’ll see a list of devices from which you’ve most recently logged into your Facebook account and when they were active. 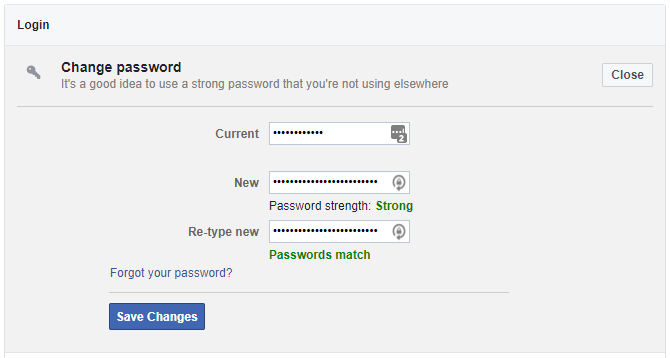 If Facebook can find your account, you can choose how to Reset Your Password. 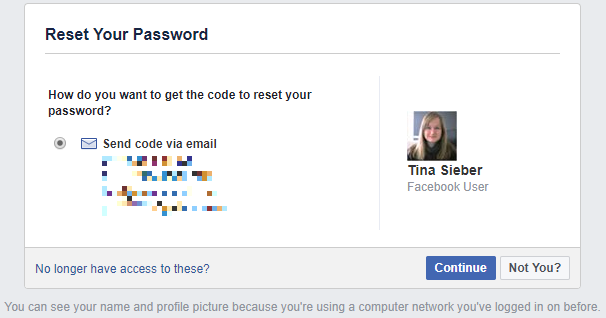 In my case, Facebook offers to send a recovery code to any of the email addresses I added to my account. I highly recommend that you specify multiple backup email addresses. Remember that you must keep those accounts equally secure, at least by using a strong password and ideally by enabling two-factor authentication. Use the No longer have access to these? link if that’s the case. Facebook will ask how they can reach you to verify your identity. This can take a while. If you believe that the Facebook hacker who has access to your account has been abusing it, proceed to step 2. Oftentimes, it’s not an evil person that randomly hacked your account. You may just have granted access to a malicious Facebook application which subsequently hijacked your account. After doing everything you can to regain control over your hacked Facebook account and preventing further damage, inform your friends about what is going on. This is a precautionary step in case the hacker has been abusing your account. 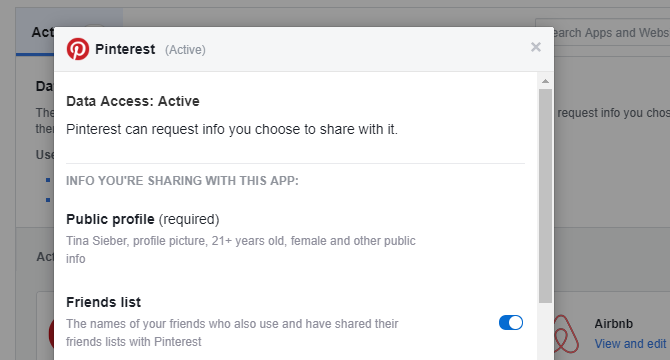 If you presently can’t access your account, contact your Facebook friends through other social networks, by email, or have a mutual friend inform them via Facebook. Under Settings > General, update your contact details, add additional email addresses or mobile phone numbers you have access to. Likewise, remove those you no longer have access to. Head to Settings > Security and Login to set up extra security measures, including alerts about unrecognized logins, two-factor authentication, and choose three to five trusted friends who can help you to recover your account should you get locked out. Under Settings > Privacy, choose the privacy settings you’re comfortable with. We recommend letting only friends see your future posts and retroactively limiting visibility of past posts.